Rocket Sports & Entertainment Network » Blog Archive » Dunedin says Go Bolts! Even though Dunedin, Fl. 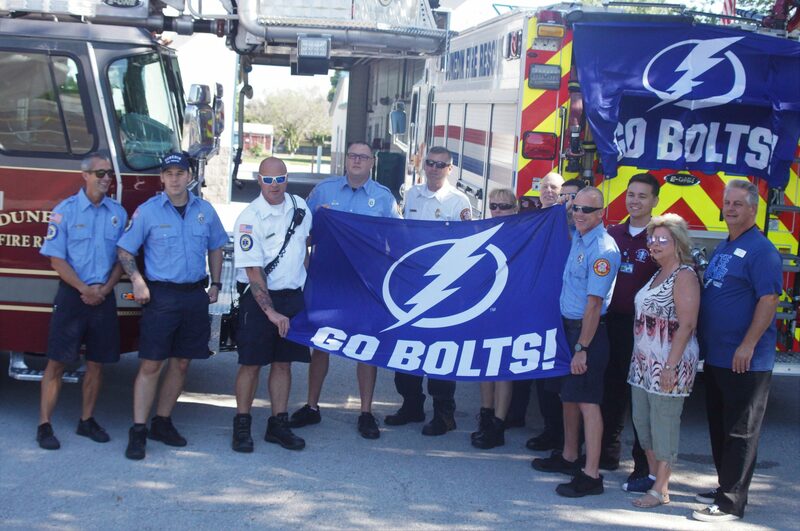 has been the Toronto Blue Jays spring training home since the team’s first season they showed their support for the Tampa Bay Lightning not the Maple Leafs on Friday in front of their main firehouse. The firefighters were joined by Mayor Julie Ward Bujalski (second from right) and Commissioner Kevin Gow (right) cheering the Bolts on.